The rise to fame of the 23 year old driver who, in 1952 won his third successive Gold Star, awarded by the British Racing Drivers' Club to the Champion Driver of Great Britain. 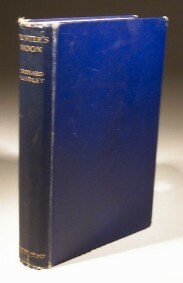 195pp plus index with black and white plates. 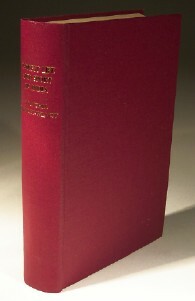 Containing an account of every denomination of coin and specifying every kind of type, legend, and date of each variety. Also an account of the silver coins struck in Scotland from the year 1662 to the Union of the two Kingdoms in 1707. Description also of those pieces struck as patterns. 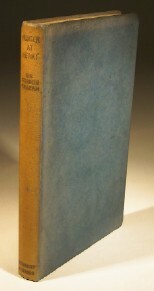 A collectors guide of the period of 160 numbered pages bound with interleaving pages for notes. Sometime in the possesion of H.Cotton who has made copious notes in a good hand of the period. His opening note states, Marshall here describes rather more than 900 pieces: Viz. English 794, Scottish 78, Patterns 30, of these I have at present about 450. The life of the British in India was cruelly dismissed by Vanity Fair as 'duty and red tape, picnics and adultery'. However the author demonstrates that for many men - and for some notable women too - it was through sport that they sought relaxation and relief from the routine of their working life. 223pp illustrated in black and white. A book about big game hunting in the jungles of the Far East where the author has striven to depart from the normal account of slaughter, paraphernalia and methods to lyrically describe the vast green silences where he maintains only man is vile. 267pp0 with black and white plates. 321pp with black and white plates. 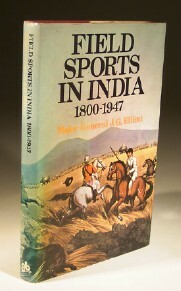 The author was late Inspector of Forests to the Indian Government and in addition to forest sports he covers the early awareness for the need of conservation. Dedicated by the author to the Jungle Folk in India and Ceylon, in particular to the Shikaris and Trackers from remote jungle hamlets, in whose company I have spent many happy days with gun and rifle.